I've made it clear in these pages that my favorite oil comes from the olive. Olive oil has been a desired commodity since long before the time of Jesus. It just might be nature's chemical treasure in olives that explain the great benefits of the Mediterranean Diet. This was borne out recently in a brilliant, but simple Spanish study. The purpose of the study was to examine what it is in the oil that's so healthy. Here's what they found. The study followed 16 men and 5 women. All of them were healthy, but they had high cholesterol levels. The subjects fasted overnight. Then, they went to the hospital. They ate a breakfast consisting of two ounces of white bread with 40 ml of virgin olive oil. Sounds like a shoddy high-fat breakfast to me. But it had a purpose. The meals also included vitamin A supplementation. Over the next four hours, the researchers took blood samples. And, the researchers used Doppler laser to evaluate the all-important arterial endothelial responses. The endothelial cells are the inner lining of your vessels. They caused the participants to have sudden changes in blood flow, which they produced by inflating and then deflating a blood pressure cuff. Cutting off the blood flow, followed by releasing the blood flow, results in a reliable measure of endothelial function. A poor response is considered an early warning sign of cardiovascular disease. Previous studies have linked high-fat meals to poor endothelial function, which lasts for several hours after eating. 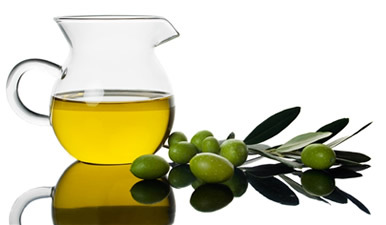 The researchers focused on phenolic compounds in the olive oil. They put each participant through the process twice in a randomized order. One round used olive oil naturally high in phenolic compounds (400 parts per million). The other round used the same brand of olive oil that they had processed to remove most of the phenolic compounds (80 parts per million remaining). 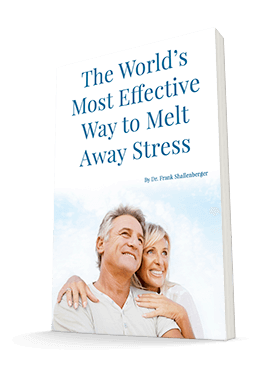 The scientists said that the stress test revealed reduced oxidative stress and improved nitric-oxide functioning. But they saw this improvement only when they used the high polyphenol olive oil. The processed oil didn't produce this result. Oxidative stress causes cellular damage. Nitric oxide improves dilation of blood vessels. We know that a high-fat meal, like fries or a burger, damages endothelial function. Here we see that polyphenols in olive oil can protect that fat-ingestion damage. The conclusion is that these wonderful plant chemicals can protect your vascular system. Polyphenols are nothing short of miraculous. Extra virgin olive oil is a rich source of polyphenols and may be a prime factor in the Med Diet. But don't try to get all of your polyphenols from olive oil and consume it in excess. The extra fat can harm you in other ways. But where you need a source of oil, I stand by my love for olive oil. Unlike seed oils, olive oil is squeezed from the whole olive fruit, flesh, and center. "Phenolic Compounds May Explain Mediterranean Diet Benefits," ScienceDaily, November 9, 2005.